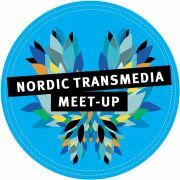 The most prevalent feeling I have of attending the Nordic Transmedia Meetup and Nordic Game in Malmö, Sweden last week is one of ”so, we’ve finally arrived!”. See, some years ago when I was introduced – and for the first time actually grasped – the concept of transmedia (according to a definition I, like all other transmedia practicioners, made for myself, one that fits my particular needs) it was a revelation to me. It was also a gateway into a little part of the creative media world, a gateway that few apparently had found up ’til then. It was also apparently a gateway that didn’t look like much of a gateway for many of the people who actually had found it, leading to them discarding the “Transmedia” gateway in favor of more elegant, bigger gateways by the name of ”Marketing”, ”Online”, ”Mobile”, ”Social media” and so on. What the people who left the ”Transmedia” gateway unexplored didn’t realize was that it was that precise gateway that was the only one leading into the full world of possibilities. The other gateways merely offered one tiny part of the full world, much like looking at a fenced-in area for wild animals through a glass wall; you will see some of the animals for some of the time, but the only way to see them all, smell their scents, feel their fur and risk getting torn to pieces is to avoid the fences, enter the area and go stand in the middle. That’s what transmedia has felt like to me. A special area, found by few people, and sparsely filled with a tribe that has congregated in that fenced-in area, a tribe that has had differing opinions regarding what the area actually is. These differing opinions then stemming from the other areas these people have immigrated from. At the Nordic Transmedia Meetup and Nordic Game 2013, I felt a change. The glass walls are beginning to dissipate, not through anyone’s explicit doing, but rather through EVERYONE’S collective doings. This means more people are finding their way into the area. The major change is that these are people who are not in the least inclined to put much effort into trying to categorize the area or the practices going on within the area. They’re just there, enjoying the view, petting the animals and having a good time. All in all, good fun – and it makes for a more relaxed atmosphere as well! Finally, I’ll say that – looking at the games and the talks at Nordic Game this year – I believe the gaming world and the TV/film world will have a lot more in common – much more than today – as games are becoming more narrative (at least some) and TV/film are moving more and more into interaction, second screen and gamifying. Exciting times ahead!